Be kind to yourself EVERYDAY My first ever blog post was about food, raw food to be exact. I did an experiment to see if I could last a month eating raw food and recorded my experience. Click here if you’d like to check it. I did it, lost weight and felt great. Of course I thought, I'm never going back to eating the way I used to. I'm sure I'm not the only one who's thought this. Anyway over the years my weight has gone up and down, like a freaking yo-yo and to be honest it’s getting boring. I didn't change my eating habits to lose weight although YES I needed to. It was either an experiment, a change of diet because of animal cruelty and to help improve my health. I always lost weight, felt great, swore I'd never go back to eating/drinking the way I used to, I’d think "one won't hurt” to then finishing the whole packet and then some, and finally slowly but surely putting the weight back on. So here I am again, at the beginning of the road which way do I turn? If I keep eating the way I am, I'm going to need to buy bigger clothes and that ain’t happening. So rather than going on a "diet" I've decided to focus on ME and MY needs ohhhh how selfish….well not really. If I don’t look after me first I am not going to be well enough to look after my beautiful family and lovely clients. For a while now I've been living with the illusion that one day I would choose healthier food without even thinking about it and without feeling like I'm missing out on something yummier. But I've accepted that this isn't going to happen. I don't think it's in my nature. Now that I've accepted that I feel better, as I’m no longer waiting for this elusive moment that will never come. I’m dealing with how I am right here and now and I'm looking for alternative ways to ensure I make better food choices. I imagine I am not the only one who has been going through or something similar, so I hope that someone else can benefit. Basically I’m going to ask a simple question before I eat/drink anything? Am I being to kind to myself by eating/drinking with BLAH. So, before eating another chocolate bar I will ask myself the question, am I being kind to myself. In some respects eating a chocolate bar when stressed once in a while is being kind to myself as that is what may give me a few moments of comfort so I shouldn't beat myself up about it. But when that chocolate bar turns into many chocolate bars, slices of bread, crisps the list goes on then I am no longer being kind to myself. As I am not being kind to my physical and mental health and I won't feel happy within myself. Here are the Top 5 tips that I feel will help me to get started on a more health focused journey, I hope that some will resonate with you. 1. Start the day drinking warm lemon water to get the digestive system moving. 2. Have 2 litres of water available in the morning so that I know how much I need to get through during the day. 3. Have a list of go to snacks that I like so that when those cravings sneak up on me and my brain cannot function to find an alternative to the chocolate bar that my brain is screaming at me that I need, I can quickly look and list and get something that would be more beneficial. 4. Plan the weeks meals and have the menu plus recipes on hand so that when I can't seem to think straight when hungry or tired I can look at my trusty list and make something asap. 5. Make sure that I incorporate a mixture of fruit and vegetables. Nice and simple, no strict rules, no cutting out a list of food as long as my arm. There is nothing new here but there is so much information out there that we need to pick and choose what is good for us. What we really need to focus on rather than a quick change is lasting change and the latest FAD diet is not going to do that for you because it's a "diet" and generally with all diets there's an end ie when you lose the weight, fit into "that" dress, come back from holiday. The the motivation disappears and the cycle begins again. But here I will basically be concentrating on adding the good stuff in and being a little more prepared. BUT that’s not all because it’s not all about the food, is it? If food was the only issue we would very different food choices. We have so much going on in our lives and more often than not we forget about ourselves. I am guilty of this, so I have started walking in nature for about 30 minutes 2-3 times a week. It helps me so much just to get outside with no agenda apart from being on my own in nature. 2. Meditate, I was once told that 10 minutes meditating gives the same benefits to our body as sleeping for 30 minutes so technically you could get up 15 minutes early and get some meditating. Great way to start the day. There are so many videos available on youtube. 3. Journaling – have thoughts going round and round in your head, write them down get them out, write down what you're grateful for (wonderful way to end the day) write down any decisions that your struggling with, there are so many benefits to journaling. I recently watched a Gabrielle Bernstein video she recommends writing “Dear guides of the highest truth and compassion I invite you to write through me”. The start writing, you'll be amazed at the information you get. Also she suggests writing "Dear guides of the highest truth and compassion could you help me to figure out which path I need to choose” if you're ever stuck on a decision that you need to make. You may feel drawn to write or you may find that you receive signs. I love journaling and although I don’t do it every night I always find it beneficial. Why not try it out for a month and see how you go. 4. Book in a massage, a course that you'd enjoy, go shopping do something that fills you up so that you're not using foods to make up for other areas in your life that may be neglected. 5. Move your body doing whatever you enjoy, there is no one way that you should or shouldn't exercise. If you do what you enjoy you're most likely to stick it out. So dance, skip, walk, cycle, run, make love, do whatever you love. 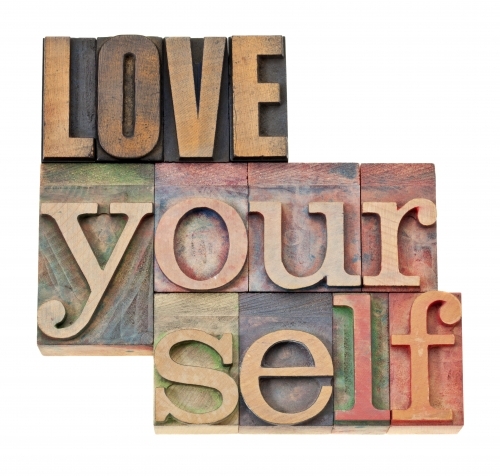 "Focus on Love" Love for ourselves, our bodies, our minds, our families, our environment. We're not on this beautiful planet for long. So let's make the most of it and in doing so, we inspire others to do the same.